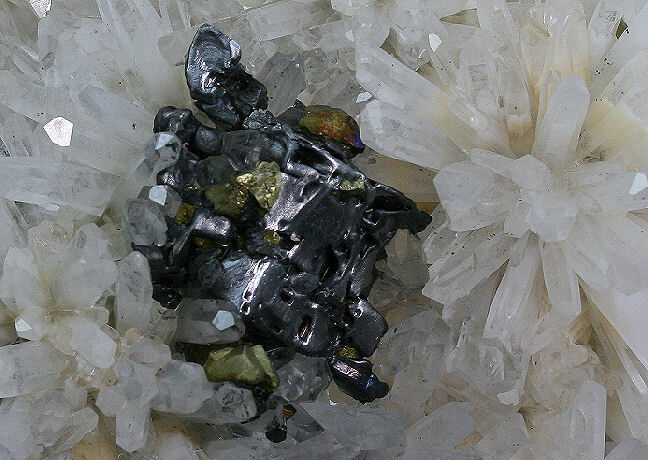 This stunning, pristine specimen of glassy Quartz Crystals with Sphalerite Crystals around the periphery and Crystals of Galenite and Chalcopyrite in the bottom center measures 13 x 10 x 3.5 cm and was discovered in the Deveti Septemvri mine in Bulgaria. This si a very special speciemn and will be an amazing addition to any collection! 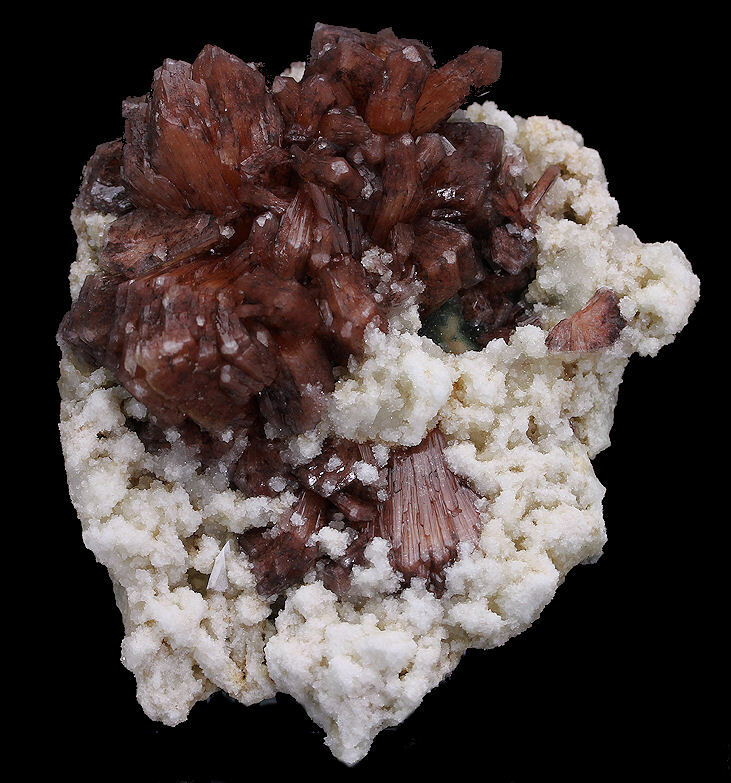 This extremely rare Burgandy Colored Stilbite Crystals set on a very nicely contrasting White Quartz is a stunning specimen measuring 15 x 12.5 x 4 cm.